Social networks have grown in usages and popularity the world over. They are now an indispensable marketing tool for brand building purposes. In fact, brands of all hues and statures look to leverage their presence on social media to up their reach to the world. The downside is – these networks are a two-way medium where brands and audience connect, interact and communicate together. Naturally, negative feeds and harmful reviews will be there. Users will vent their ire at some products or malign the reputation of brands due to not getting a rewarding relationship with them. So, brands should be ready to deal with negative comments and reviews across social networks and convert challenges into opportunities. It’d be a mistake if you did not have a proper plan in place for handling negative reviews from users or customers on social network. Whether it’s Facebook, Twitter, LinkedIn or YouTube – no channel is free of mudslinging and slander for brands and you have to better prepare for the same. Having a well-planned strategy means you’d be consistent with the response to negativity on social networks. You will be in a position to resolve issues by being open to bad reviews or harmful response to any product or service. Plus, you could understand well what customers want and what has caused those grievances in the first place. The worst thing for a brand would be to shirk the responsibility and look to hide behind excuses. Many companies do adopt this strategy where they never accept the mistake and rather look to counter attack. Rather, you have to put up a brace face and be ready to face and handle negative reviews considering them a part and parcel of operations. Being digital means you will have roses and brickbats equally and you have to strategize for both. So, be ready for complaints and tender an apology first up since customers are displeased. You have to resolve the issue and give a timeline for the same. And yes, try to phone the disgruntled customers and listen to what he/she has to say. Most brands, if not all, have bad experience on social networks yet they don’t go off and rather treat it as a challenge. They understand that the negativity coming their way has some merit and it needs to be resolved at the earliest for brand building purposes. It’s a grave mistake to feed the trolls and respond them the language they understand well. Rather, you have to recognize and respect a real customer complaint and have to find a way to solve them problem. The best strategy would be to come up with facts and data so that the real picture is emerged. More importantly, if the fault exists with the some aspect of the business, you then have to assure customers of remedy in a specific timeframe. This always does the trick and resolves the issues later on. Although it’s vital to own up mistakes publicly, you should never try to make a spectacle out of this whole saga or resolving the issue. Negative comments are meant to be responded to online while the real repair work is never supposed to be done under spotlight. Rather, you need to reach out to the complainant via offline preferably through a mail or phone call. Some brands do it methodically by sending a direct message to the customer having problem with any aspect of their products or services. They aim to mitigate the problem through delivering customer support service rather than just sending words of empathy or sympathy on social networks. This is how they get good results out of a messy situation. It’s important for any entity to be consistent with brand building efforts across social networks and leverage social media marketing to core. There has to be a sense of consistency with handling negativity and response mechanism must bear a standard-ness. You just can’t be random with responses and squander a great opportunity to brand building. 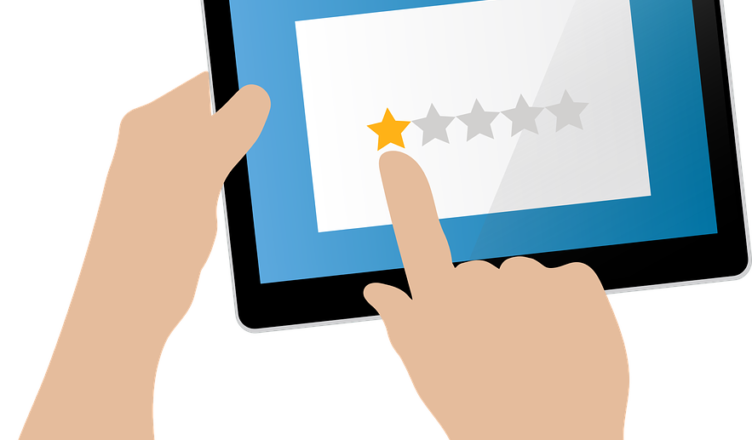 If you are suffering from negative reviews, you must take the help of a social Media Marketing Company. They have deep knowledge about it and they will resolve your every issue in a professional manner which will be perfect and effective too.